Each apartment suite comprises a double or twin bedroom, en suite bathroom, plus a spacious lounge with dining area and small kitchen. All but two apartment suites have private terraces. 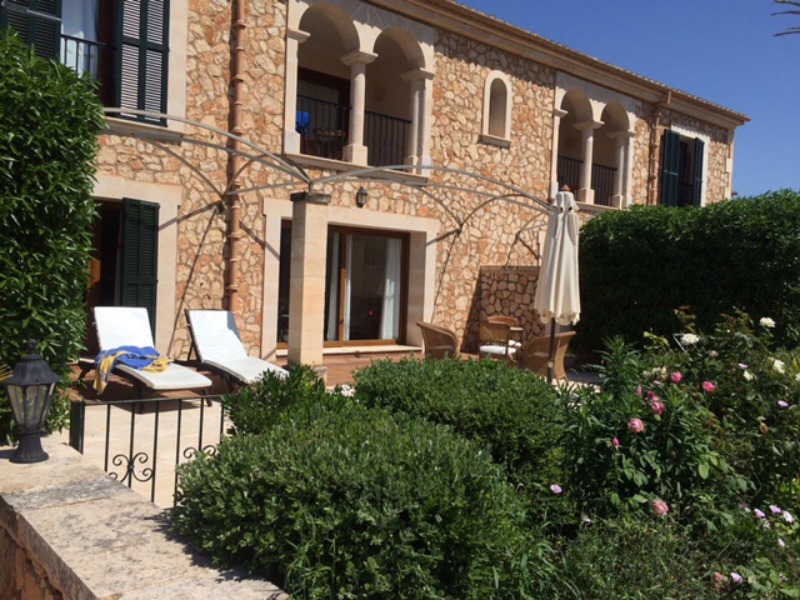 is a tastefully renovated finca in a tranquil country setting. 10 apartment suites, with separate living room and kitchenette, all of which can be equipped with children’s beds and/or cots on request. All but two of the suites have private terraces, which can be accessed from both bedroom and living room. A hire car is highly recommended. 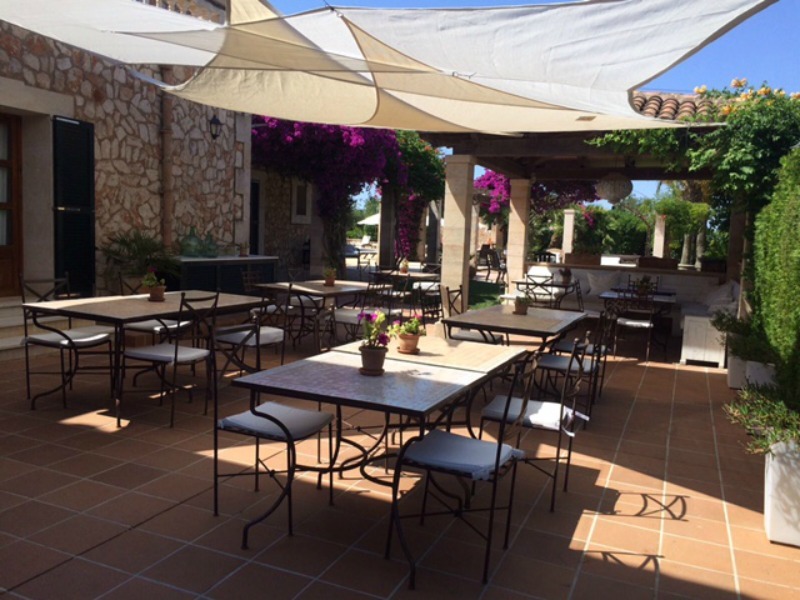 The nearest airport is Palma de Mallorca, approximately 30 minutes’ drive away. 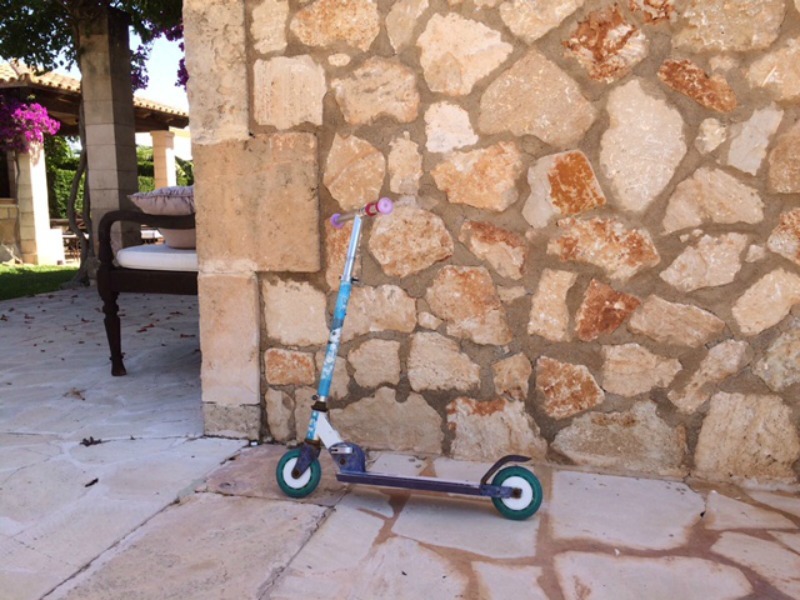 This traditional Mallorcan finca has been beautifully converted into an intimate rural hotel that offers rest, relaxation and blissful tranquillity for overstretched parents, and an abundance of space, toys and games for children. Immaculately tended gardens that are bursting with colour surround the property, and at its heart lies a large, sparkling pool (heated in the cooler months) and an expansive terrace, including a bougainvillea-covered pergola, a play area and lots of shaded seating. Guests accommodation is in apartment-style suites, some located in the main house, the others in an annexe beyond the pool. 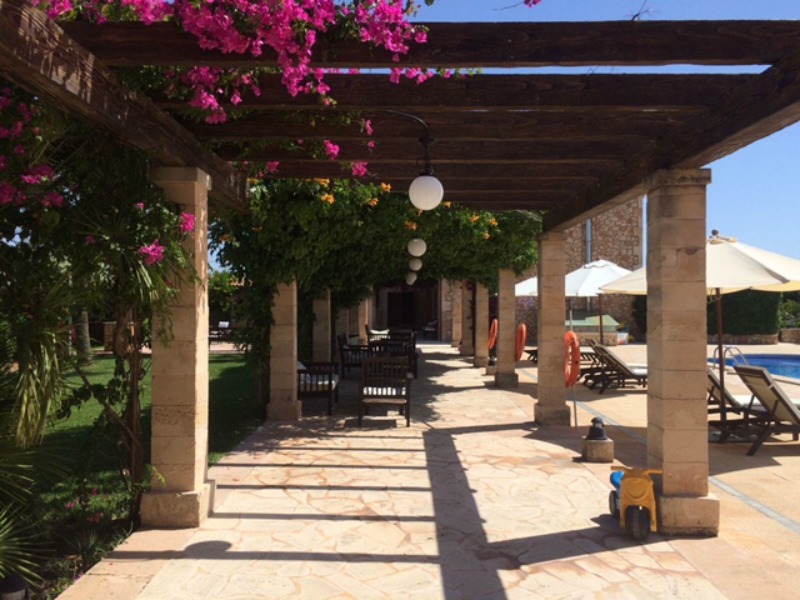 Built from natural stone, with tiled floors, exposed beams and whitewashed walls, the property retains a rustic atmosphere, but has been tastefully decorated to ensure a comfortable and relaxing stay. Each suite features a double bedroom, bathroom and spacious living room, which are simply furnished to make them as child-friendly as possible. A kitchenette in the living room gives guests the option of preparing their own meals or snacks. The restaurant, however, also serves breakfast, lunch and dinner, with many of the ingredients supplied by the hotel’s organic vegetable garden. The weekly barbecue night, where guests sit at long communal tables, is a great opportunity to get to know other families. Meals can also be delivered to one’s room. A large inventory of junior beds, cots, changing mats, baby baths, high chairs, sterilisers and more mean that each apartment can be equipped with the items a family needs at no extra cost. 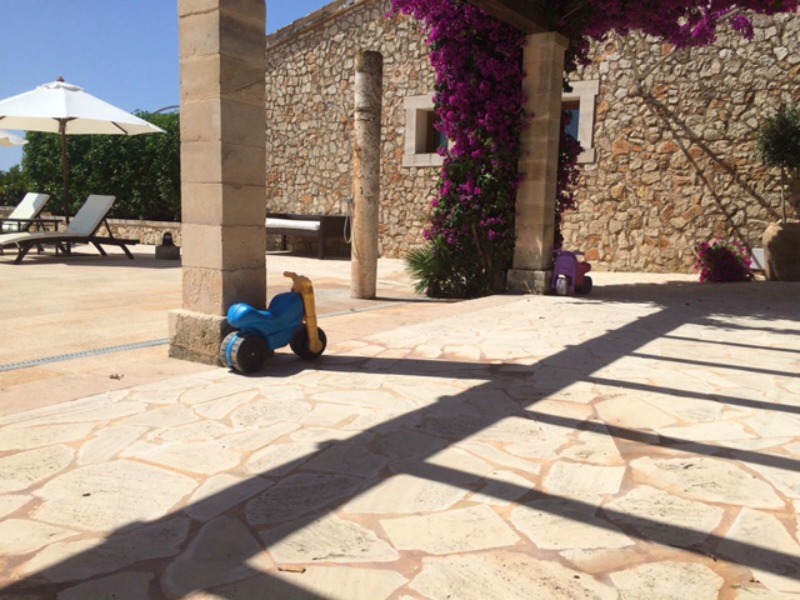 In addition to toys and books for little ones, there is a shady outdoor play area, plenty of pool and beach toys, and an array scooters and tricycles for children to use. 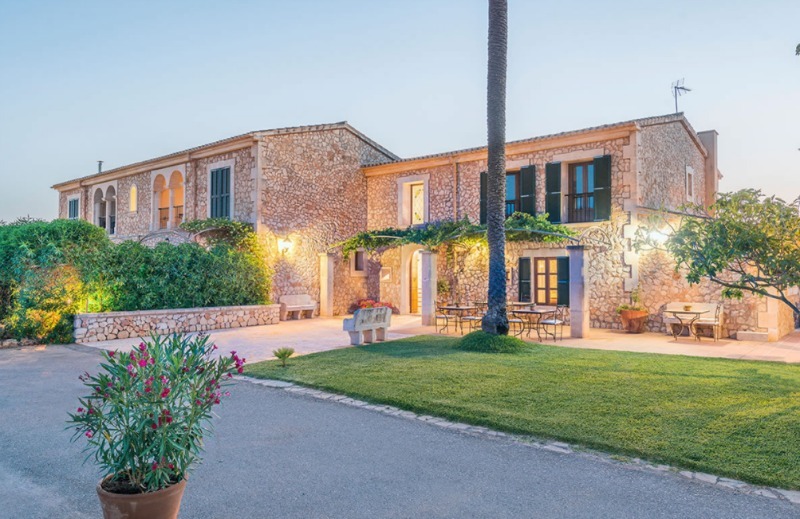 Surrounded by fields of golden wheat, it might feel miles from civilisation, but is in fact just 5km from the traditional town of Campos and 10 minutes from one of the island’s longest and loveliest beaches. Please note there is no minimum stay at this hotel. A non-refundable deposit of 20% is payable upon confirmation of booking. The balance due 6 weeks prior to arrival. Each apartment suite comprises a double or twin bedroom, en suite bathroom, plus a spacious lounge with dining area and small kitchen. There are plenty of pool toys for little ones to splash about with, as well as beach gear that can be borrowed. 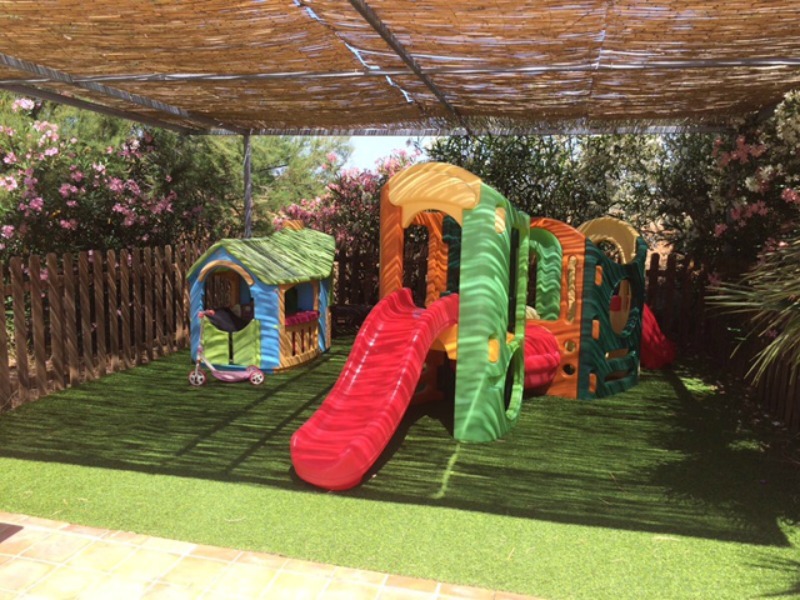 Adjacent to the pool terrace is a shaded play area with a slide and playhouse, and various tricycles, scooters and toys are readily available for children to use. A short walk down the road is the Artestruz ostrich farm where one can tour the premises, learn all about the giant birds, feed the babies and even ride on one of the adults. Ostrich meat, eggs and other souvenirs can also be purchased. A small aquarium in Colonia St Jordi offers a series of simple displays that show what lies beneath the Mediterranean Sea. Further away in Palma the much bigger and more sophisticated Palma Aquarium recreates ecosystems around the world and offers interactive displays and activities including snorkelling with rays and diving with sharks. For a wet and wild day out, kids always love a waterpark. Mallorca has three to choose from: the Western Water Park at Magaluf, the Hidropark at Port D’Alcudia and, closest to the hotel, Aqualand at Arenal. A huge theme park in the southwest of the island, Katmandu includes a water park, an upside down house, mini golf, five floors of soft play, and a huge climbing frame with rope lines and swings for older children. There are lots of beaches within a 15 to 30 minute drive. Some of these offer car parks, beach bars and water sports, others are totally undeveloped. Some of the best beaches in the area include Es Trenc, the beaches at Cala d’Or and the virgin beaches in the Parc Natural Mondrago. Adults and children can both enjoy exploring the area on horseback. Nearby Son Menut Equestrian centre offers classes, rides through the forests and even to beaches, for all ages. Boats can be rented to explore the coast in Portocolom. Boats up to 4 metres can be rented without a licence and speed boats or typical Mallorquin boats up to 12 metres can be rented if you have a licence. Boat trips from Colonia Sant Jordi take you out to the small, uninhabited island of Cabrera, a national park, for the day. There you can explore pristine coves, hike along well marked trails, climb up to the castle and marvel at the unique light inside the Blue Cave. The trip across can be choppy, so this may not be suitable for very young children, or those who suffer from seasickness. The Cuevas del Drach is a large cave system that stretches for some 1200 metres and includes an underground lake, spectacular stalagmites and stalactites. It’s one of the island’s top attractions and visits include a boat trip across the lake and live classical music. Located in Porto Cristo it’s about 40km from the hotel but a visit to the caves can easily be combined with exploring the beaches in the area. From Mallorca, based in Sa Rapita, offers a huge range of water sports, ranging from adrenaline-boosting fly boarding to stand up paddleboarding, kayaking, windsurfing, sailing and snorkelling. 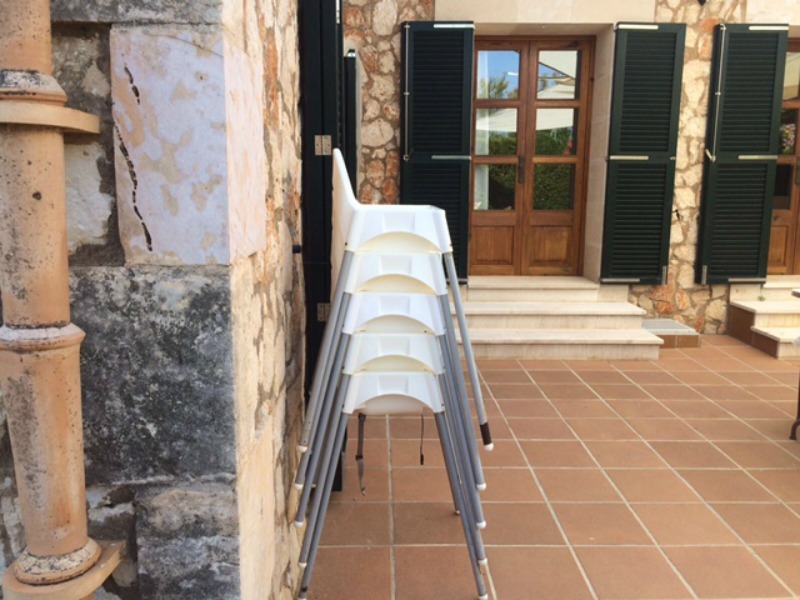 Both the coast and interior of Mallorca is crisscrossed with walking and hiking trails, many of which are clearly marked, and often offer exceptional views. Due to the heat in the summer months, hiking is only really possible before June or after September. It’s well worth spending a day wandering around the elegant capital city. Stroll along the harbour front and admire the yachts, or rent a bike and cycle eastwards along the seafront. Get lost in the narrow alleys of the old town, stop for coffee in the Plaza Mayor, or shop till you drop along Jaime III. The huge cathedral and adjacent gardens and park are a must and there’s no shortage of art galleries, restaurants and bars to visit. This pretty town on the far side of the Tramuntana mountains makes a good day trip for the whole family. If you go by car, take the tunnel to save time, or consider taking the historic wooden train from Palma. Either way, you’ll emerge on the other side of the mountains in a very different landscape. Even in the driest months the Soller valley is lush and green, and hillsides are filled with terraced orange and lemon groves. Soller town is a pretty place to wander around and from there a tram takes you to the Port de Soller, where there is a beach, small port and plenty of waterfront restaurants. Throughout the Traumuntana mountains the villages that cling to the hillsides are outstandingly picturesque, and arguably two of the most attractive are Valldemossa (where Chopin famously lived) where the cobbled streets are filled with potted plants, and Deia, with its wonderful views out to sea and its own pebble beach, home to the popular Cas Patro March restaurant. The hotel can organise yoga classes for individuals and groups on site, and also in-room massages. Mallorca has more than 20 golf courses to choose from, but the closest ones to the hotel are Golf Maioris and Golf Son Antem. The municipality of Campos, located in the southeast of Mallorca, is an area that is agricultural. Today it is the centre of the island’s dairy industry – the Piris cheese is produced here – and a number of wines also come from the region. Life in these parts tends to move slowly and simply. At the coast it’s a different story, with various resorts and hotels built around pretty inlets and beaches. The southern tip of Mallorca forms a V shape, effectively giving visitors two coasts to explore: the west-facing one and the east-facing one. Es Trenc beach, a ribbon of white sand and turquoise water, stretches for several kilometres along the southwest side, and is great for water sports. The southeast coast is dotted with narrow coves and smaller beaches, some of which remain undeveloped, and others where resorts have grown up around them. The closest town to the hotel is also called Campos and is a fairly workaday town with a handful of good restaurants and all the shops and services one might need, but a few kilometres further on the towns of Felanitx and Santanyi are well worth a visit: Felanitx has a medieval castle and ancient monastery to visit, and the market at Santanyi (Wednesday and Saturday) is one of the most interesting on the island. The majority of the attractions in this area, however, are of the natural variety. The flat country lanes are good for cycling or walking, and the coast is only ten minutes by car from the hotel. Palma and the airport are approximately 40 km away.